After a three months break from our weekly nature class, last week Ania and I finally took part in it again. 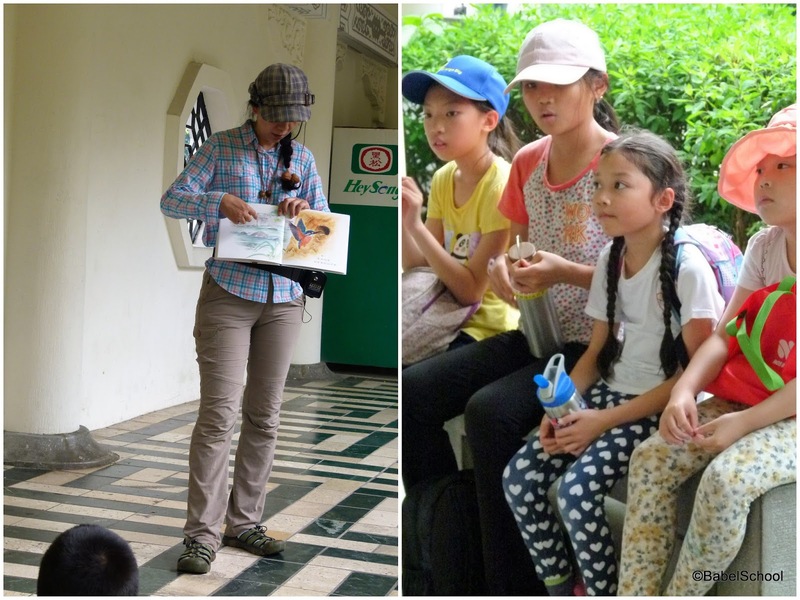 This time we joined a group of kids a bit older than Ania. 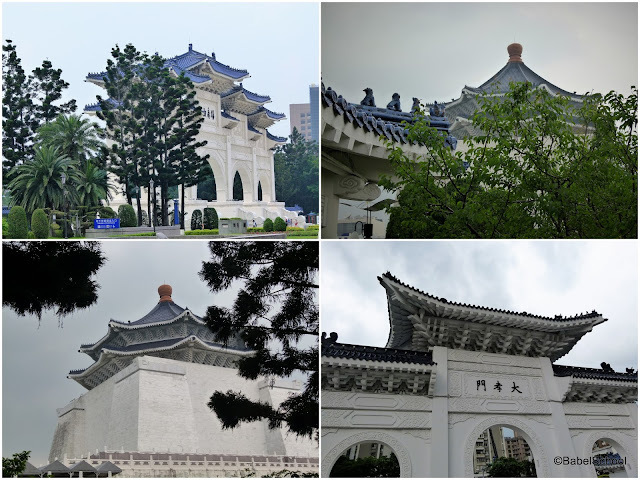 Our first outing with older children, but the same teacher, took place in the park around National Chiang Kai-shek Memorial Hall. There are many tall trees (all planted) and a pond at which we started our walk around the park. By the pond there were many different kinds of water birds as well as pigeons. As you can see many of the pigeons have rings as they belong to somebody. Many Taiwanese people keep pigeons for pigeon races. You can see them flying in circles above the city roofs. 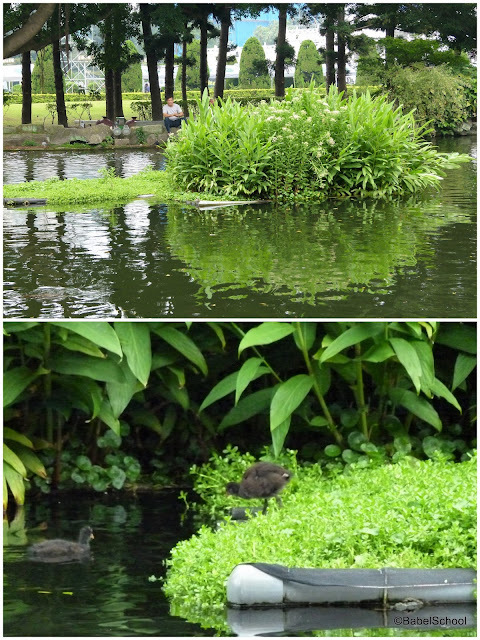 Children learned why they are man-made islands in the middle of the pond. The birds nesting on these islands are protected from cats and other predators. 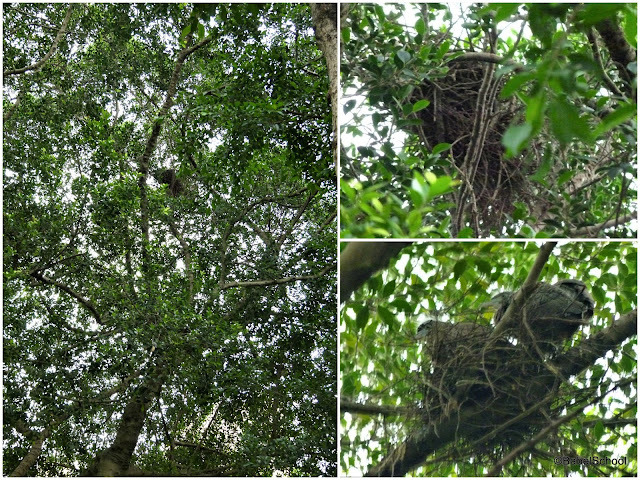 High up on the trees we've spotted a few nests, In some of the nests there were young black herons. We also looked at some plants. 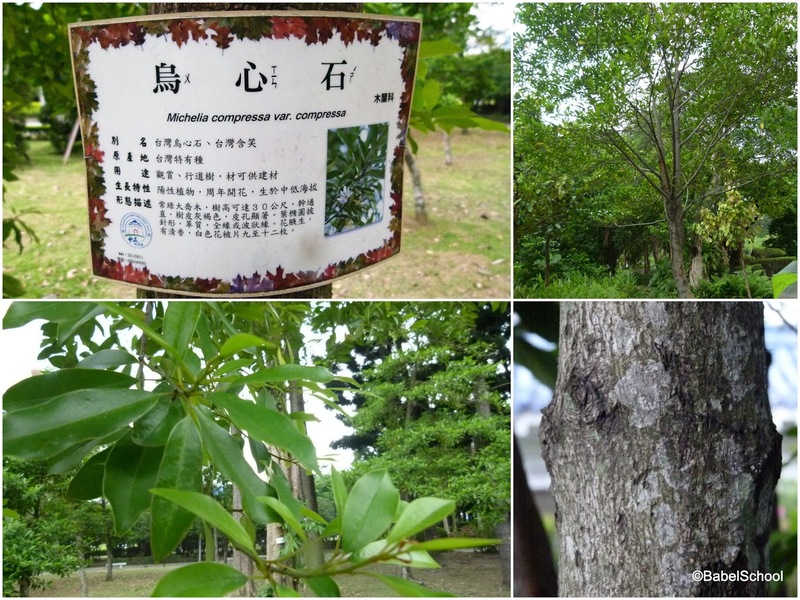 One was a magnolia tree that is often used as chopping board, it's wood is very hard. 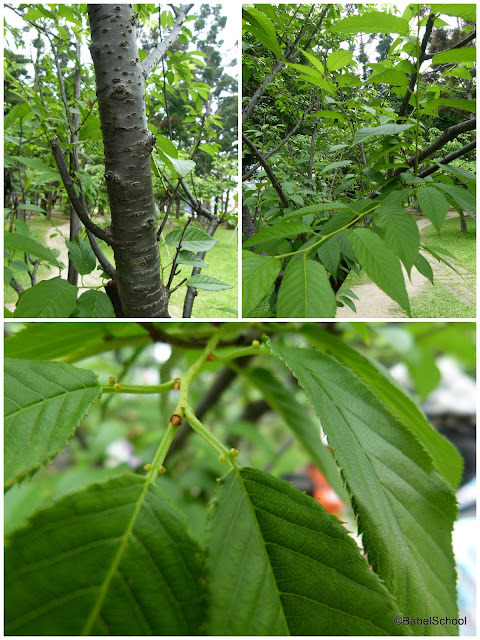 Children also looked closer at the cherry tree. 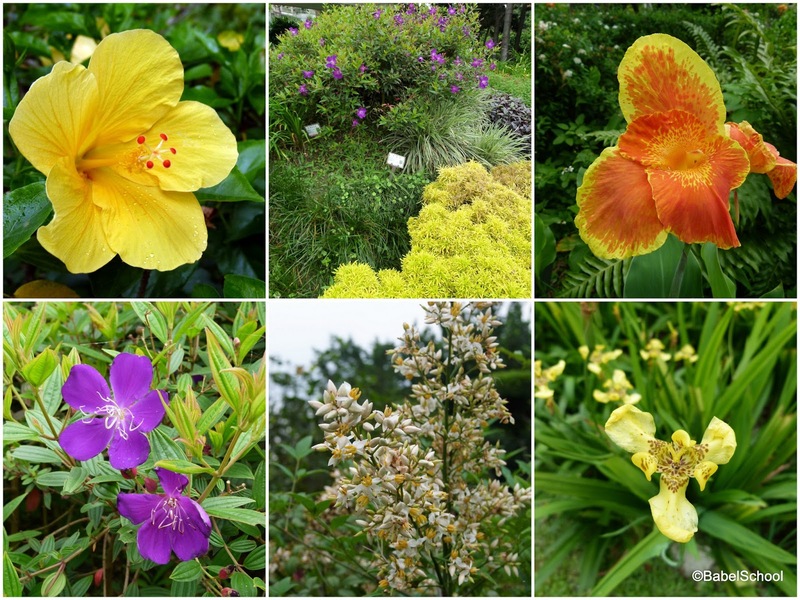 And I enjoyed looking at the flowers. 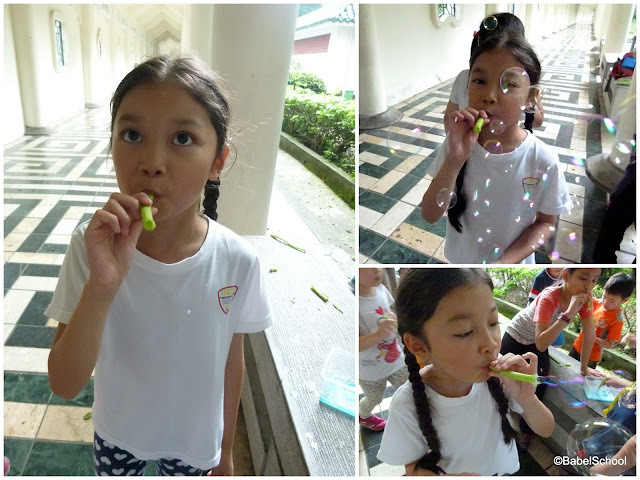 There was also time to blow some bubbles with the stems of water spinach 空心菜. 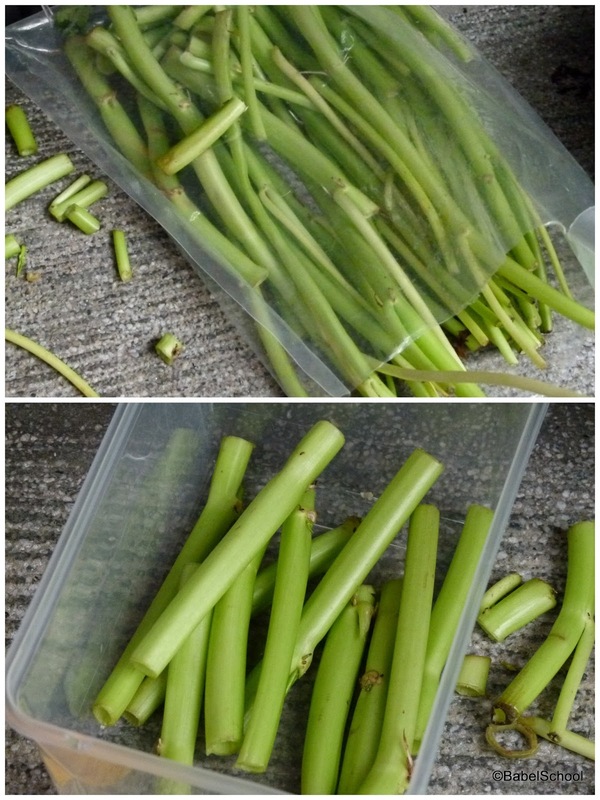 The teacher also read a book about birds' nests. 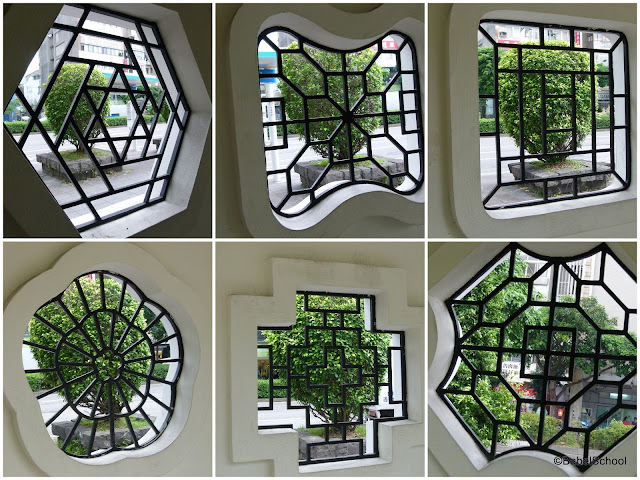 Walking around the park gave me a chance to look closer at some ornamental windows in the wall surrounding the park. Each one has different geometrical shape. 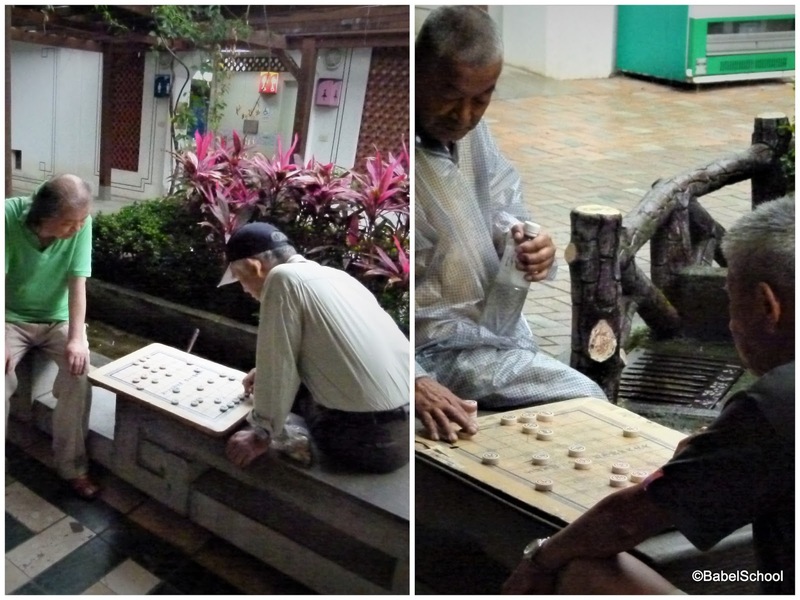 In the passageway by the park's wall, there were many older people playing Chinese chess. Świetne zajecia!!! Bańki robione przy pomocy wilca wodnego to musiała być super zabawa!